Adonis Stevenson defends his WBC Light Heavyweight Title against Badou Jack in Stevenson's adopted home of Quebec on May 19. This is Stevenson's ninth title defense and one of his tougher ones against Jack, who has won belts at super middleweight and light heavyweight and has been beaten just once. Stevenson last fought when he scored a repeat win over Andrzej Fonfara in July of 2017. Jack last fought on the Mayweather-McGregor card, beating Nathan Cleverly for the WBA 175-pound title. This has the air of being a competitive fight with a number of different plausible outcomes. Let's see what we can come up with in this Stevenson vs. Jack betting pick. Stevenson is undoubtedly one of the sport's most-dangerous fighters and one of the greater offensive forces recently seen in the 175-pound weight class. The problem is that he's now 40 and has made a minimal impact since winning the belt from Chad Dawson back in 2013. He has defended the belt 8 times, but missed out on all the recent noise at light heavyweight. While guys like Andre Ward and Sergey Kovalev were earning millions in big fights, Stevenson has mostly been laying back and at 40, one wonders what he's waiting for exactly. Making it worse is a lack of a push to get him in big fights. No one is really talking about him anymore and the feeling is that he's content to defend his belt sporadically against solid, but unspectacular opposition. Stevenson has fought less than two rounds in the past 22 months. In the past three years-plus, he has scored KOs in three, four, and two rounds, respectively. That's a shockingly-low workload for a champion who fills arenas in Montreal and appears to have the talent to be a much more big-name fighter. The fear is that he has grown a bit stale. Age catches up to everyone and at 40, the clock is certainly ticking on Stevenson. Not to completely write off his work since winning the title, as he has scored some fierce knockouts, but it could have been so much more. Stevenson has an interesting story. Born in Haiti, he moved to Canada and ran into some legal problems that got him locked up for several years. At an advanced age, he got into amateur boxing and quickly established himself as a fighter worth watching. He was on a big roll in the pros, until falling to renowned spoiler Darnell Boone in 2010. It would be the only setback in a career characterized by explosive knockouts. One of the last prominent fighters to have worked extensively with legendary trainer Emmanuel Steward, it's been a long road to this spot for Stevenson. Stevenson is a menace on offense. In fact, the fear his opponents have of getting cracked by his one-shot KO power might also be his best defense. He is a very athletic fighter and quite explosive when he zeroes in with a big shot. Still the linear champion, there just aren't as many people talking about him anymore. But that doesn't mean he isn't still one of the sport's most-dangerous fighters. His shots are launched with extreme suddenness and an abundance of snap. Still, there are vulnerabilities in his game. The champion has shown he can be hurt, as he never came across as the most-rugged fighter. But so far, his firepower has been the prevalent trait in his 9 title fight wins. Can Jack do one better? Jack is no spring chicken at 34, but he's been tested on a more regular basis than the champion. Since 2015, as Stevenson has been fighting in perfunctory defenses, Jack has been mixing with the likes of Anthony Dirrell, George Groves, Lucian Bute, James DeGale, and Cleverly. He's more battle-tempered as of late. And despite all those tough opponents, he has managed to avoid defeat, with his only setback being a 2014 loss that wasn't dissimilar to Stevenson's only setback, as he was stopped early by a spoiler-type opponent. His recent track record is pretty darned good. Still, there is something about Jack that makes it hard to include him among the elite, despite titles in two weight classes and his recent body of work. A lot of his recent fights were up in the air after 12 rounds. Other than his stoppage of Cleverly last year, he got no separation from his opponents. His wins over Dirrell, Groves, and Bute were split or majority decisions, with the fight against DeGale being a draw. Still, his work in the ring suggests he should be a handful in this spot. He carries a lot of experience into the ring. He has good size at a well-developed 6'1." He operates smoothly on offense and is a determined and ambitious fighter—still hungry at 34 and after some nice success. He has thrived in an underdog role a few times in the past. Like Stevenson, his chin is not above reproach. But over time, he has become a more-nuanced fighter and implements his strategy better. Both fighters offer a mixed bag. With Stevenson, his offense makes him a threat to blow any light heavyweight out of the ring and that includes Jack. But at 40 and having been so inactive, questions about his viability loom. With Jack, you're getting a capable and proven fighter who has thrived at a high level. But he lacks a certain something or a single compelling trait that would make it easier to fancy him in this spot. If Stevenson has ebbed, Jack is more than sufficient to exploit that. But you hate to depend on a notion like that, as Stevenson being a spent force would just be hopeful speculation for Jack backers. It's a tough fight in which to cast a prediction, but at -165 on Stevenson, there is some value. I'm going with the champion. 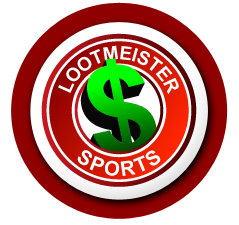 Loot's Pick to Win the Fight: I'm betting on Adonis Stevenson to win at -165 betting odds. Bet the Jack-Stevenson fight for FREE by taking advantage of a massive 100% sign-up bonus on your first deposit of $100 to $500 at GTBets!